Famous for its colourful architecture clinging to the near vertical hillsides, the town of Positano has been loved and visited by creative, artistic people for many years. Well known for its excellent boutique shopping and world class restaurants alongside picturesque buildings and cathedrals to visit, there is much to enjoy in this sophisticated holiday haven. There is a choice of popular local and nearby beaches providing fantastic swimming and recreation. Positano is a fashionable holiday destination where you can enjoy your vacation with the world elite, take in the most spectacular views and be pampered at one of the VillaGetaways.com lavish rental villas. Contact Villagetaway.com for more information. 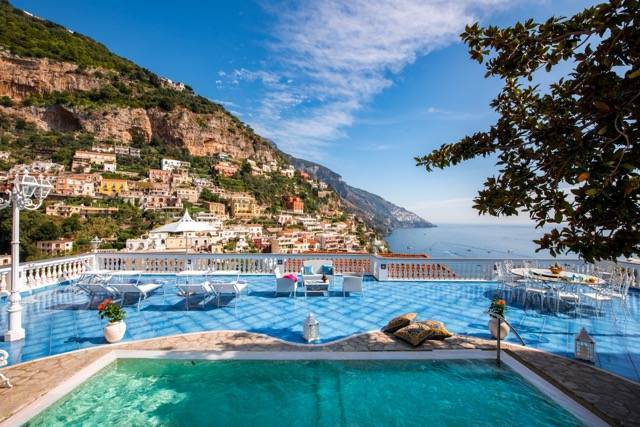 This luxury six bedroom villa is located in the center of Positano and is less than 550 meters from the beach.